Santalum album wood from Timor, naturally dead from the 90's, pure heartwood. This listing is for 10 - 100 grams of Indian Sandalwood wood(Santalum album), Harvested in Timor in the 90's. Also known as white sandalwood, chandan, and East Indian sandalwood. Indian Sandalwood is the most prized of all the sandalwoods for it's superior and long lasting scent. These Indian sandalwood wood pieces are great for burning and really let you know that there's nothing artificial added. Mix the smoke around in the air around you and just notice how amazing the room smells after being smudged by this sacred wood. Even without burning, it has an intoxicating scent that lasts for years. 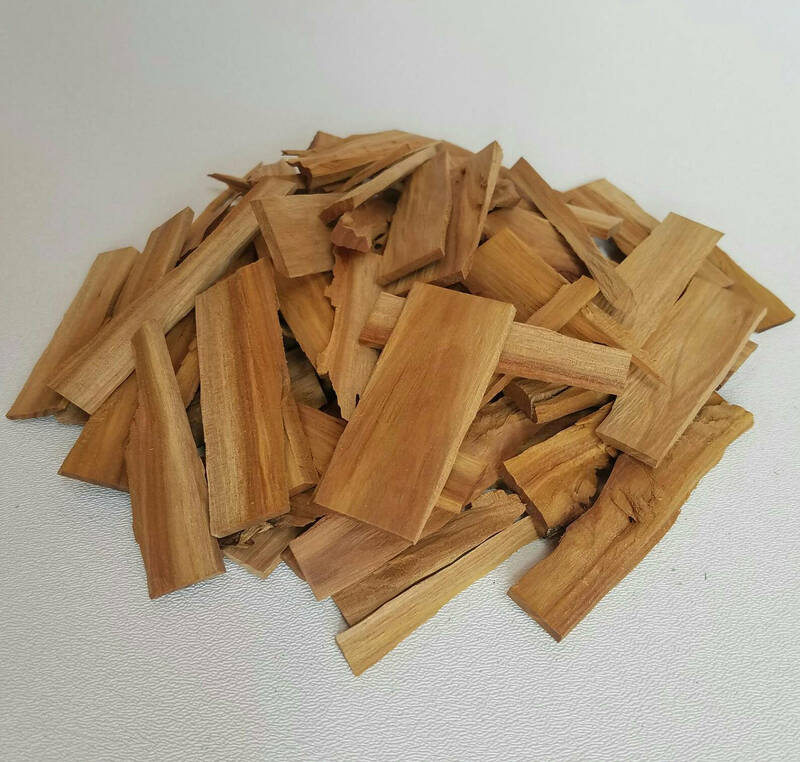 These Indian sandalwood pieces would be great for a woodworker for making little beads, a sandalwood hair stick, or a paintbrush, among other things. 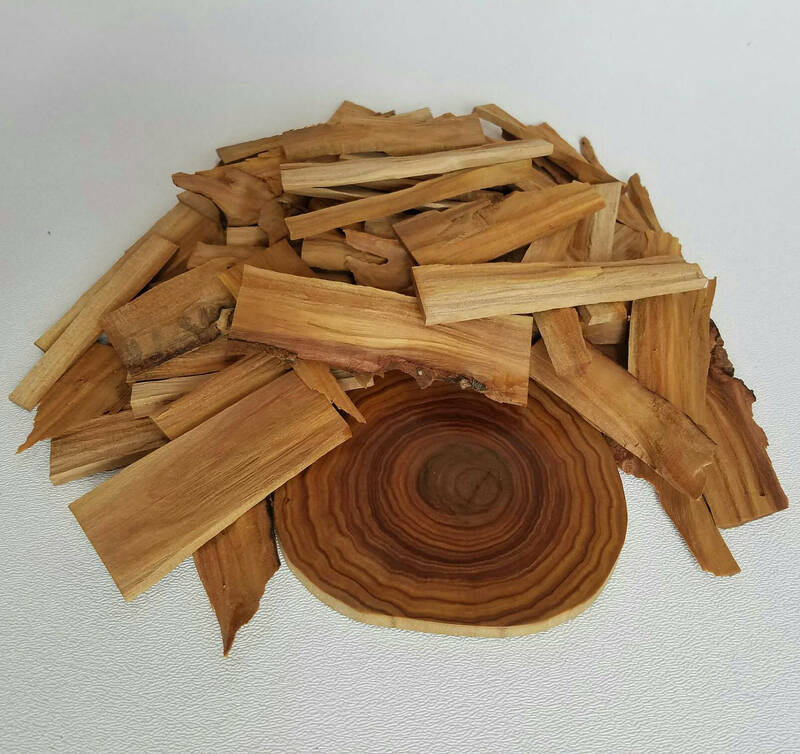 The sandalwood pieces could be put in a drawer to make your clothes smell nice, placed on your altar, or used in an art project. Also makes a great gift. Indian Sandalwood has been noted in Indian literature for thousands years. Indian sandalwood has uses as a wood and an oil in religious practices. Indian sandalwood is also used as a construction material in temples and such. These Indian sandalwood log pieces are dense, richly colored, and fine-grained, and unlike many other aromatic woods, they retain their fragrance for decades. Sandalwood oil is extracted from the wood for use in aromatherapy, perfumery, soap making, candles and many other uses. Both the wood and the oil produce a distinctive fragrance that has been highly valued for centuries if not millennia.